We acquired Fiki as a youngster and are happy with how she has grown up. 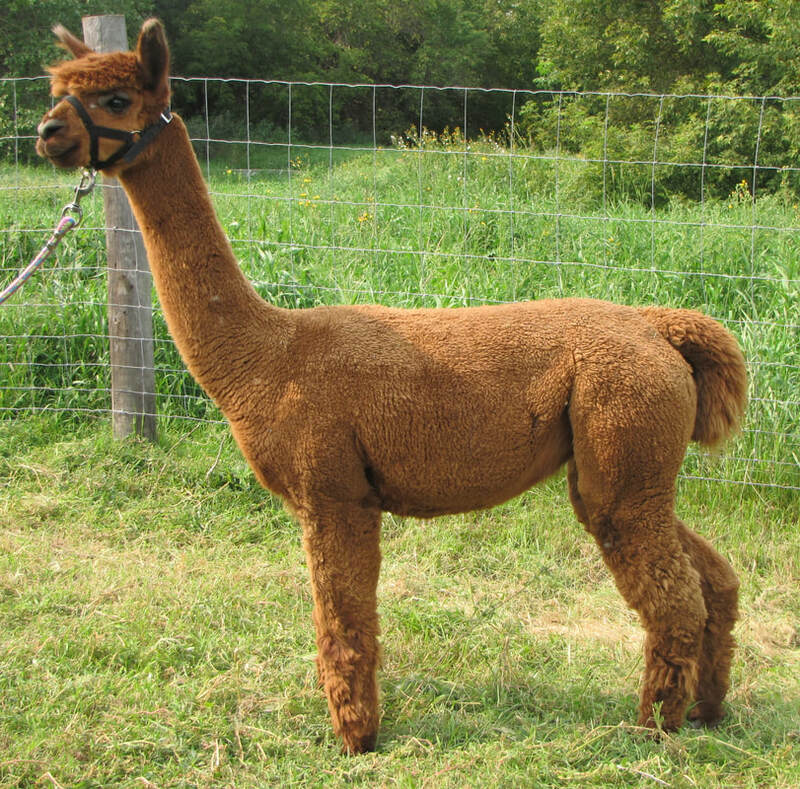 She has a soft handling fleece with good density. Her conformation is strong and she has proven to be a good mother. 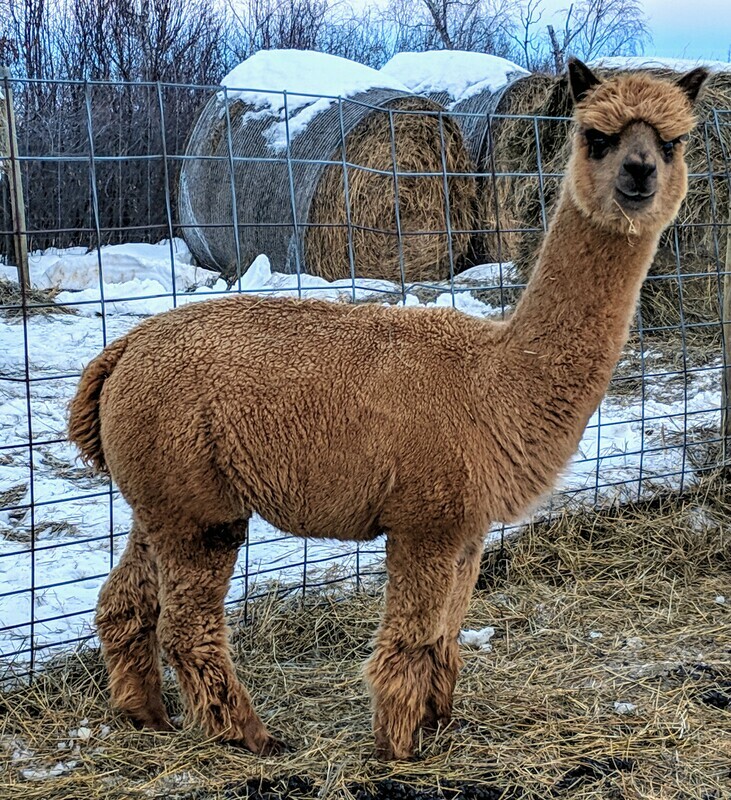 Her first cria, Inca Hoots Piwi out of Arriba Nitro also has that butter soft fleece. 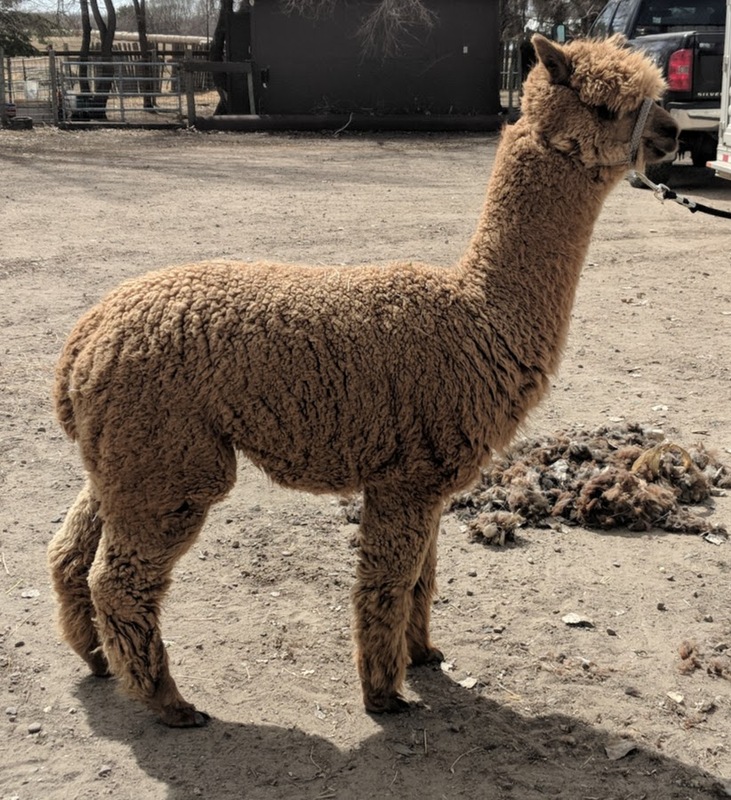 Fiki is open and can be bred to a male of your choice in the spring of 2019.